Stripes are timeless, versatile and a great way to add dimension to any outfit. So I was really excited when Farfetch contacted me to feature this infographic, inspired by the SS'15 stripe trend. I feel like I haven't incorporated many stripes into my outfits during the winter months, so I'm ready to bring it back this summer! So, who is my stripe icon? If you follow me on Instagram, you may have noticed my slight obsession with Audrey Hepburn, so I'm going to have to stick with her! 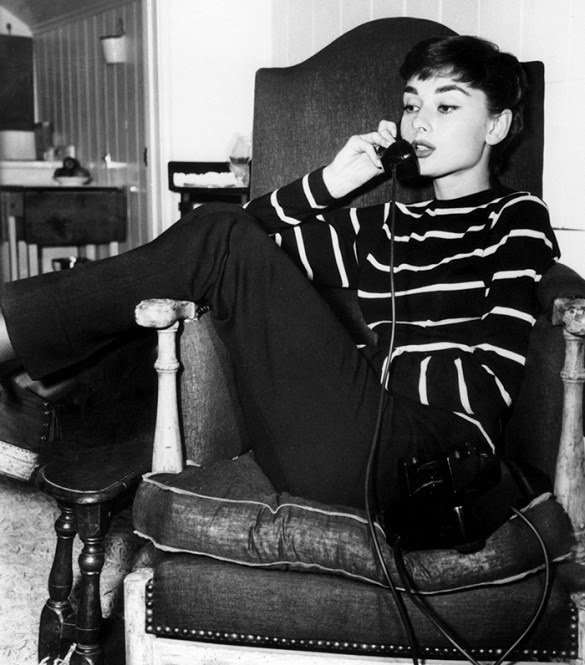 I love the image of her above, from her film Roman Holiday. She definitely channels her femininity whilst wearing the mens pyjama two-piece. So, who is your stripe icon?